This is one documentary you need to believe the hype about. Chris Rock decided to make it after his daughter (not even five years old yet) asked him why she doesn’t have good hair. This documentary then looks at the world and culture of African-American hair. It covers everything from perms to weaves to hair shows. Chris Rock interviews famous and not famous people alike with a certain charm and intelligence that gets them to really open up. I think the scene that best demonstrates the feel of the whole movie is when Chris Rock is interviewing a white male scientist about sodium hydroxide, which is the perm that African-Americans use to straighten their hair. The scientist has just shown Chris how quickly sodium hydroxide eats through raw chicken, and Chris says, “You know black people put that on their hair.” Horrified, the scientist says, “Really?! Why would they do that? !” Chris says, “To look like white people.” Epic. Silence. The documentary is smart, because it doesn’t run around blaming white people for this whole culture among African-Americans against natural hair. It kind of blames everybody, and it does it in a witty, intelligent manner. Another from the 100 Horror Movies To See Before You Die list I’ve been working my way through. A wayward son of a British aristocrat comes home to hopefully reestablish himself in the little town. He starts to pursue an engaged gal, but while doing so, gets bit by a wolf. Naturally, he turns into a werewolf. I think what’s the creepiest about this film is how the main character goes about pursuing the engaged girl. He starts off by watching her through a window and then hitting on her in her father’s shop in possibly the creepiest manner ever. She resists….at first. But then doesn’t. The whole film sort of feels like a judgment on both him for being a creeper and the engaged girl for being seduced by the bad boy instead of sticking with her nice, stable man. Kind of a nice change of pace from more modern films, eh? The special effects aren’t as good as some others from this same time period that I’ve watched, but they’re still fairly decent. It’s a fun change of pace if you enjoy shapeshifters. Also the “British accents” are pretty much nonexistent. When this movie started, I thought it was going to be cheesy. But I was very wrong. It turns out that this is an adaptation of a Poe story, and it is completely frightening, even with outdated special effects. Essentially, this guy wants to marry this girl, but her brother insists that the Ushers need to let the family die out. He also claims the house itself is evil. I won’t tell you what happens from there, but suffice to say the tension builds perfectly until you are on the edge of your seat for the climax. 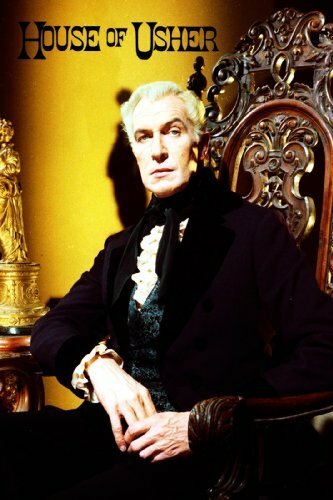 Vincent Price plays the brother and let me tell you, he is a legend for a reason. When I finished this one, I was actually nervous to go to bed. Which never happens to me. PS There is a 2007 remake. Ignore it. Ignore it so hard. This is based on the true story of a murder during the 1980s ecstatic clubbing days (see what I did there? ), which was written about in Disco Bloodbath by James St James. (Btw, the memoir is almost impossible to find and hella expensive). Anyway as for the movie. It’s very campy. 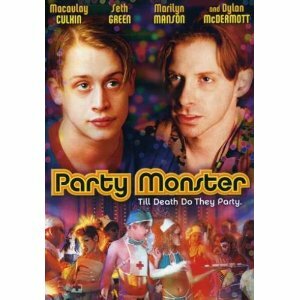 The absolute best part is seeing Macauley Culkin and Seth Green play two fabulous druggy gay men. It’s campy but not over-the-top. I mean, these clubbers really did act like this. They weren’t exaggerating. But the plot is oddly told, jumping around perspectives and time and can be hard to keep up with. Also the ultimate murder is told by a rat (a man in a giant rat suit). So yeah. It’s odd but fun. Recommended to fans of Seth Green. This movie really doesn’t need much explanation. It’s a classic (chosen for preservation) for good reason. 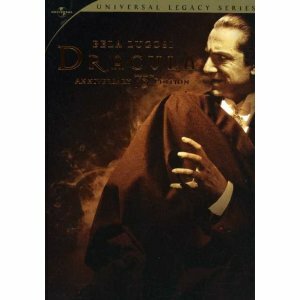 I have read Dracula, and I was flabbergasted at how good the adaptation was. Modern film adaptations could learn a thing or two from this production. Bela Lugosi as Dracula is still deliciously creepy, instilling chills. Two cool things to know. One, originally there was an epilogue in which the audience is told vampires are indeed real that has been forever lost so the ending does feel a bit abrupt (because it’s not actually the ending). Also, the entire movie was shot simultaneously on the same sets in Spanish (with Latin* actors). I think The House of Usher is a classic! 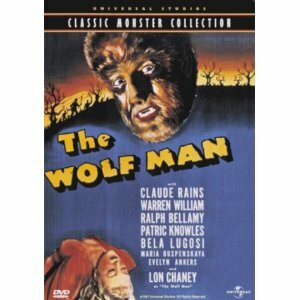 Have yet to see the original Wolfman or Dracula though, would like too. Like most women, I’m fascinated by hairstyles. 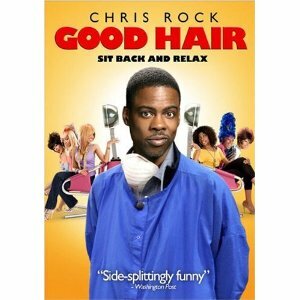 I’d never heard of Good Hair before, but now I must rent it! Yay! I’m sure you’ll enjoy it. Watched it last night and I was glued to the screen like a bad hair weave. I learned some things that make me go “Huh.” Thanks for the recommendation. I’ve really got to see that Chris Rock documentary. We talked a little on twitter about it, and it sounds just really freakin’ damn good. I finally saw Good Hair. It was really good! I loved that moment when he was talking to the scientist, too. And when he pulled out the soda cans that were sitting in the sodium hydroxide–eugh! That was scary. Ice-T was probably my favorite commenter. I’m so glad you saw it! Lol yes, Ice-T was hilarious. I’d never realized what a truly cool dude he is before.